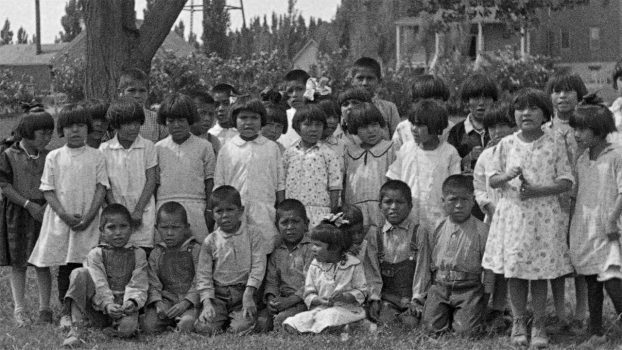 For most of the 20th century, government agents systematically forced Native American children from their homes and placed them with white families. As recently as the 1970s, one in four Native children nationwide were living in non-Native foster care, adoptive homes, or boarding schools. 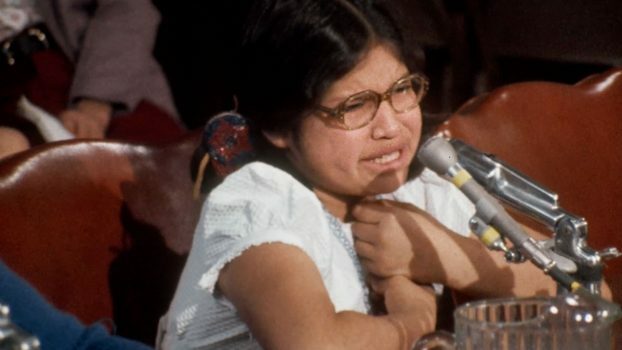 Many children experienced devastating emotional and physical harm by adults who tried to erase their cultural identity. 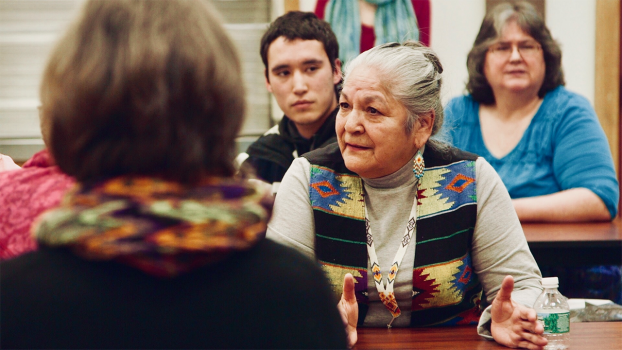 In Maine, a historic investigation—the first government-sanctioned truth and reconciliation commission (TRC) in the United States—begins a bold journey. For over two years, Native and non-Native commissioners travel across Maine. 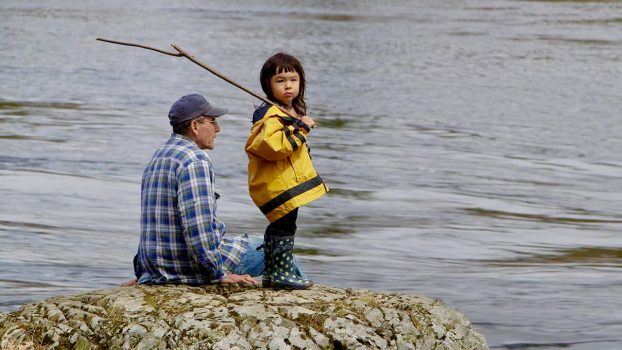 They gather testimony and bear witness to the dramatic impact of the state’s child welfare practices on families in Maliseet, Micmac, Passamaquoddy and Penobscot tribal communities. Collectively, these tribes make up the Wabanaki people. The TRC discovers that state power continues to be used to break up Wabanaki families, threatening the very existence of the Wabanaki people. Can the they right this wrong, and turn around a broken child welfare system? DAWNLAND foregrounds the immense challenges that this groundbreaking body faces as they work toward truth, reconciliation, and the survival of all Indigenous peoples. 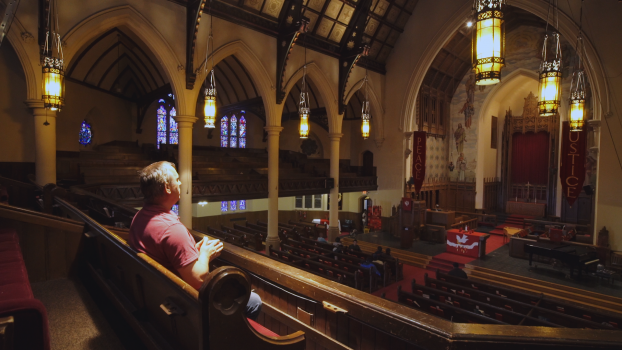 *FILMMAKER IN ATTENDANCE* Walking For Ded is a meditation on the revival of the sanctuary movement in the United States in response to the anti-immigrant political agenda implemented by the Trump administration. It focuses on the case of Ded Rranxburgaj, an Albanian immigrant who has lived and worked in the U.S. for 17 years after being denied political asylum. Ded has been in sanctuary with his family at the Central United Methodist Church in Detroit since January 16, 2018. Ded’s wife Flora, who immigrated to the U.S. with him, has multiple sclerosis and cannot be deported for health reasons. Ded is her primary caregiver. The couple has two children, one of whom is a DACA recipient. In May, members of the congregation led by Rev. Jill Zundel teamed up with other faith communities and Michigan United, a coalition that fights for immigrant rights, to organize a 90-mile pilgrimage to “Keep Families Together” from Detroit to the state capitol in Lansing, Michigan. 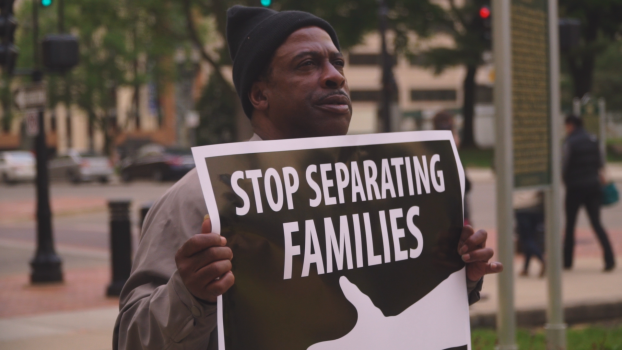 Walking For Ded follows their efforts to bring attention to Ded’s plight and convince Immigration and Customs Enforcement (ICE) to issue a stay of removal. One year after the pilgrimage, ICE still considers Ded a fugitive.